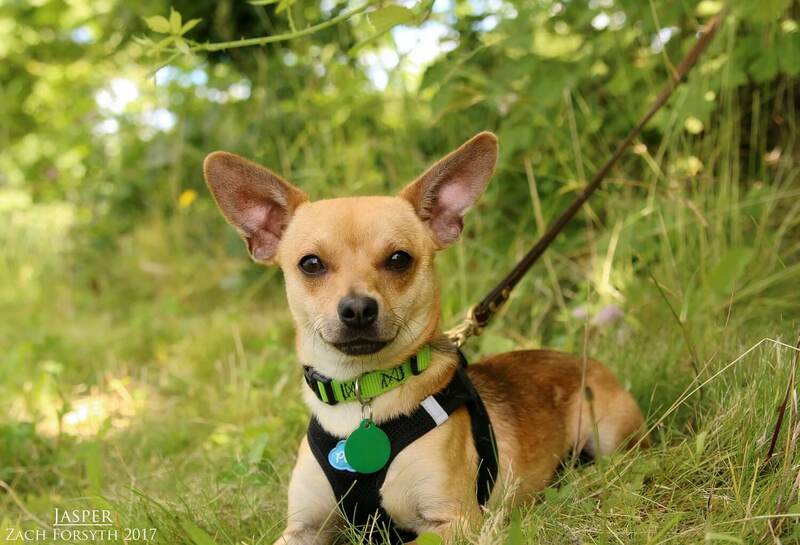 My name is Jasper and I am a super cute 2 year old Chihuahua/Terrier mix. I mean, look at those ears, right? At 12lbs, my life motto is “can’t stop, won’t stop”, as I am a little ball of energy ready who is ready to play! I am currently enjoying romping around my foster’s big yard with her other doggy friends my size. We just have a blast and I could play all day. With my human pals over 12, I really enjoy playing fetch with both balls and squeaker toys alike. But I must admit those squeakers are my favorite. I am little too interested in those kitties, so none in my home please! I don’t consider myself a city boy and can be a little sensitive sometimes. So I would much prefer a quieter neighborhood in a home owned by my adopters. After a long day of activity and fun, it’s straight in your lap for some cuddle time! Are you ready to play today? Then fill out an application, so we can meet! I come to you neutered, vaccinated, and micro-chipped with an adoption fee of $300.